With the Christmas Tree sparkling in the corner, Santa takes time out to sit comfortably by the roaring fire. 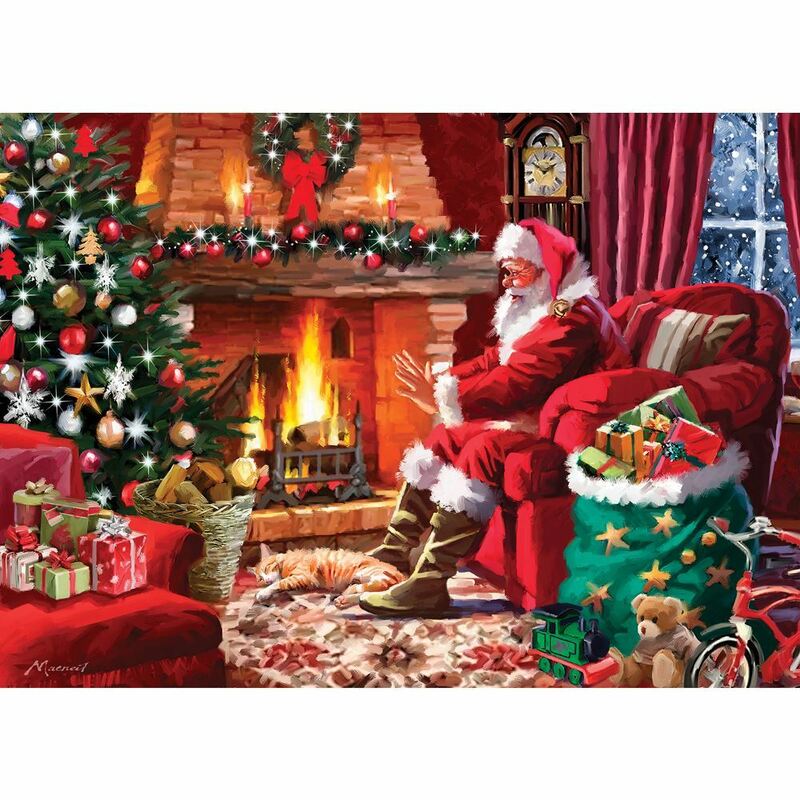 This beautifully illustrated jigsaw puzzle, from artist Richard Macneil, will be the perfect activity in the build-up and anticipation of Christmas. From the second of the Tis the Season series. 1000 pieces. 688 x 493 mm.